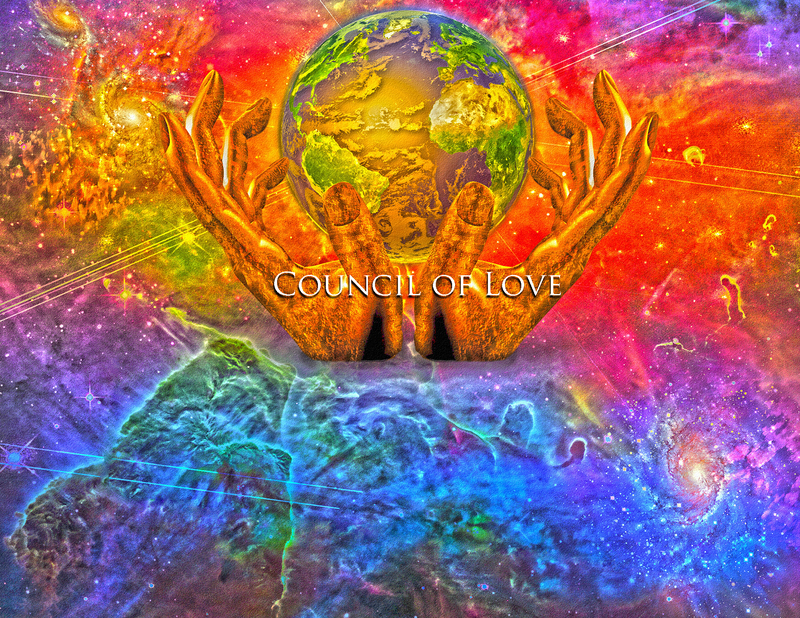 Suzanne Maresca: Hello, and welcome to An Hour with an Angel, with Linda Dillon, channel for the Council of Love and author of The New You: Emerging into the Brilliance of Humanity’s Heart Consciousness. Joining her today is Steve Beckow, founder of the Golden Age of Gaia and author of Building Nova Earth: Toward a World that Works for Everyone. I’m Suzanne Maresca, sitting in for GD. We’ll be graced once again today with the presence of the Divine Mother. So, with that, I will turn it over to you, Steve. Steve Beckow: Thank you very much, Suzanne and I’m looking forward to what the Mother has to say. You know the listeners will remember that the Divine Mother said that she wanted to return and had more to say. And I’m looking forward to that. And, Linda, I know it’s hard for you to speak before channeling such a powerful energy as the Divine Mother, but we’ll be discussing core issues today, and I wondered if you wanted to, or could, put in a word about your experience of people’s core issues that, through the readings that you give or whatever, or the teamwork you do? Linda Dillon: Yes. I think every now and then it’s important for us — and I do mean all three of us — to talk from our human perspective, from our Ascension-in-process perspective, about what’s going on upon the planet and how we’re feeling, and not only in the mega-sense, but also in the up-close-and-personal sense. And one of the things that I certainly have been noting, yes, in the teamwork that I do, in the people I talk to, in the notes I receive, is that people are really having their core issues — what the Council often refers to as key motivators — the core issues are up for grabs. And in fact I was working on my newsletter for the Council of Love this morning and addressing this very issue. But I think it’s important that we talk about it, and Steve and Suzi, please, feel free to chime in. Now, what I’m seeing — and it’s particularly true for lightworkers, wayshowers — you know, if you think of us as being the first wave, people who our Divine Mother talked about last week, the week before — I’m in and out of time! – but that she talked about as that group that perhaps is exhausted and battle weary. And what I’m seeing is that our core issue, the thing that for many of us has meant life-or-death survival, is up in our faces, and it’s not just up in our faces confronting us mildly or subtly, it is in our faces, bam, bam, bam, bam. And each of us, I’m sure, has an idea of what our core issue or our key motivator is. It’s that issue that we confront that in the past we felt like, if we go too far, then I’m going to die or I’m going to want to die, and I’m probably going to check out. And so it can be betrayal, it can be despair, it can be abandonment, fear of failure, fear of success. It’s these basic, basic issues. And so what’s going on — and I’m sure each of you has something to contribute, and I know this is going to resonate with our listeners tonight — is that we’re being confronted with the very thing that we think is the worst. Now, why is that? SB: All I wanted to say is some of the core issues that are coming up for me right now, I’ve never confronted them before, they’re complete strangers to me and it’s like, do you remember the scene in Alien where the little hand is over the fellow’s face? Do you remember that if you saw the movie? SB: It’s like that. It’s like the core issue’s all over my face! And also I’ve noticed that I’ve had breakthroughs on core issues without completing them. I mean, for my life I needed to get through the core issue, and I did, and it wasn’t by completing it this time. It was simply by taking a stand and getting through it. So even the getting through it is different right now. LD: Everything has changed. I’m not surprised to hear you say that you may or may not have known your core issue, because it’s the very thing we avoided looking at. Because it was that red, flashing light: danger, danger, danger! Don’t go here! Because I may have to off myself! You know we off ourselves in all kinds of ways. But it’s certainly enough to trigger our departure and our desire to go home. But the point is that, in terms of our evolution and where we are right now is that we are – evolved is the wrong word. We’ve taken enough of a quantum leap that we’ve begun the penetration of the Mother’s clarity, of her purity, of the love, and the last time we spoke, of her very grace — we’ve got enough foundation that we’re now equipped to look at that. Now, having said that, what I’m seeing is that there are two groups that I’m observing: there are those who are confronting their key issues, their core issues, and they are remaining in the ecstasy and the processing, and keep going; and then there are many of us who are absolutely down for the count. And we’re not talking about people who haven’t done their work; we’re talking about people who are leading the pack. So I’m hoping today that all of you are listening because I’m sure the Mother has words of advice and comfort for you. But this isn’t the time to quit because it’s going to come up again and again and again and again. So confront it and deal with it and let it go. Surrender is the key word. SB: Yeah, what an anomalous time. I don’t think there’s any other era in which it could be said with more truth that this is the best of times and the worst of times, you know, together. LD: It is! And we had thought that we had had our feet to the fire, particularly in the last couple of years. But this feels, I’m sure for many that, not only are my feet at the fire, I’m in the fire. Now, the other good piece of news is St Germaine came, unexpectedly, through a group channeling, a conference call channeling, on Saturday — and I’m sure the Mother will address this today — but said, everything is in alignment, above, below, inter-dimensionally, etherically…. And I think some of us are really feeling that. But what he added is that this isn’t a momentary alignment. This isn’t a few minute or a few hours or a few days or a few weeks, this is months. Please, re-commit yourself. SB: Hmm. Sort of locked in, so to speak. SB: But what does it mean to say that everything’s in alignment? I’m sure a lot of our listeners will wonder, well, what specifically are you talking about? LD: What we’re talking about — and please, Suzi, add something, if you care to — but what he’s talking about is us, the lightworkers who are holding, basically, the center, in the middle of this maelstrom — because look at the chaos that’s going on on Earth. — but humans, the collective human grid, the grid of Gaia, the universal grid, the grid of our star brothers and sisters and the Divine Plan are all in alignment in what we think of as time and space. I’ve never seen this before, and I’ve never heard any of them say this before. SM: Well, if I can contribute here that I’ve had a vision which was actually prompted by you, Linda, but I went out to my hammock, and I was asking for a particular kind of vision about the alignment, and what I saw was several disks, okay. And it’s like you go into a paint store and you get like a booklet of paint chips, it’s all attached at one spot and you can fan it out in a circle if you want to. So it was kind of like that. But all of these disks were just about to come into a complete… what I want to say is a supreme overlay. They were all superimposed one upon one another, and the very grid that you’re talking about. So once they actually do the final click-in, that is… that is going to be a time of extreme acceleration. What they showed me was fast forwarding through a video, but just in the extreme, so that everybody will not exactly skip over their process; there won’t be any skipping-over; it will be a…. screaming through at light speed to also reach the same conclusion. It felt to me like this is what’s called… going to look…. has been referred to as The Event, and it was just a kind of an amazing vision for me. And there was no timing given, but that we were like this close. SB: Um-hmm. It’s funny, you two are visionaries, right? You see these things. And I feel them. And I’ve been feeling this kind of anticipation and expectation as if, just as you say, Suzi, that we’re about to go into fast forward. LD: Yeah. I think we’re all feeling this sense of… not expectation but anticipation, and knowing that we’re really… we’re not even close, we’re there. You know when you’re starting the race? You’re right there! SB: I know the word ignition applies to Ascension proper, but it’s as if this is a mini-ignition or a lesser ignition, but that kind of fast transition. LD: … and we don’t even know — and I’m not pretending that I do know — that this isn’t the ignition. LD: I don’t know. You know me, I’m the girl that avoids the time factor. SB: Yeah, that’s right! But I’d welcome it. I’m ready! So, yeah. LD: I think we’re all ready. And I think that’s why this core issue business is up. It’s something that, as we individually look at it, surrender…. I was doing a channeling yesterday, and the advice stuck with me, not particularly because of the person’s issue, but it was to look at the issue as if it was a person standing in front of you, to embrace it, to accept it, to love it, and then surrender it. SB: Oh… Can I interject? Because I, twice yesterday, had an experience, a similar one, not quite the same as what you’re saying, but similar. And that was that when I had some issue arise, I can’t remember what it was, but it happened on two occasions, I was able… it was as if I could isolate myself from the issue that I had, as if I could kind of define it and turn it into a ball, and then I kind of just gently pushed it away from me! [laughing] Not resisting it, you know, not hating it or anything of the sort, but lovingly launching it into the air. And it worked! LD: But like a love balloon. SB: Oh, absolutely. So, yeah, no, not resisting it, not beating yourself up, but getting that we are not our issues. SM: Yeah. And if I may add something that I just now got in meditation outside, that I’ve been getting recently information about, like, what I’m here to do, and it’s anchor light and energy. And yesterday that came to me as a transformer, as in like, divine energy comes through me and out into humanity, to Gaia, whoever needs it. But the reason that came into my awareness became clear to me today, because… it just feels to me, okay, like I got the idea, transformer, anchor, generator even, that’s what crystals do. This is us becoming our crystalline form. It’s happening now. It’s happening now. So, my body is still feeling like flesh and blood, but energetically I’m doing what a crystal does. I’m so excited about that! LD: You know, a lot of times people will ask — in fact, I think it’s one of the primary questions in individual readings, about their mission and purpose and whether they’re doing enough. And I think we all feel that. We are so committed to this Ascension process and this expansion, that we came for, and it doesn’t seem to matter whether it’s the Mother or Archangel Michael or a personal guide and they reassure us — well, I don’t even think it’s reassurance — they tell us, they inform us that if we wake up in the morning and we’re breathing, we’re doing our mission. And when you look at it that way, it’s like, Oh! Okay! And everything else is add-on. So we should really be feeling really proud, not in the sense of false pride, but really proud of how we have not only worked, but hung in there. And we are doing the job. I know the Mother tells us that all the time, but we have to pat each other on the back. SB: It’s amazing how this transition from a lack of self-worth to a feeling of accomplishment and competency just gently arises. And, you know, it’s like, gee, I think a month ago I was feeling a lack of self-worth, and it’s not there anymore! You just see it after the fact, so to speak. LD: In the distant past. SB: Well, you sound like you’re going out there yourself, Linda! LD: I’m drifting away now. Goodbye! SB: Well, we’ll welcome in the Divine Mother after you’ve made your transition. DM: I am, yes, Mother, Mother/Father One. I am honored, I am joyous to speak to you as Mother. DM: But you know, and all of you know, I speak to you as One, and I speak to you as Love. Sweet angels, hybrids, Earth-keepers, starseed, and everything in between, archangels, seraph, cherubs, faeries, gnomes, familiars, wing-makers, you have so many identities, so many aspects, so many faces to express to yourselves and to your friends of Earth and far beyond, and yet how do I know you? I know you by your soul design of love. I know every portion of your being, every fiber, every particle. Oh, do not think dear hearts, that I do not know the familiar face, because I do. Yes! So often, you have thought of me as distant Mother, with limited capacity, might I say, which is quite humorous. How could I possibly know billions and billions and billions of faces, let alone the secrets of your heart? SB: I hope you’re going to answer that question, Mother. How can you know billions and billions of people and the secrets of their heart? DM: Well, I have an excellent cataloging system, dear heart. DM: The way that you look if you sit down, say, at a dinner table with friends, and you look around, and maybe it’s four of you, maybe it’s eight, maybe it’s twenty, but you know the people around the table. You know who they are, you know somewhat of their backgrounds, you read their energy, you feel their joy or their disdain or their discomfort. SB: Yes, I’ve had that experience, Mother. DM: … of being the multiverse. So you have had a glimpse of this. DM: Many of you find it very easy to love collectively your star brothers and sisters, or collectively all who inhabit Venus or Andromeda or Arcturus or Electra. So, one of the things that I wish to discuss this day is how you can love humanity, how you can love, period, no condition at all and we will even set discussion of containment aside, how can you love everyone upon your planet? 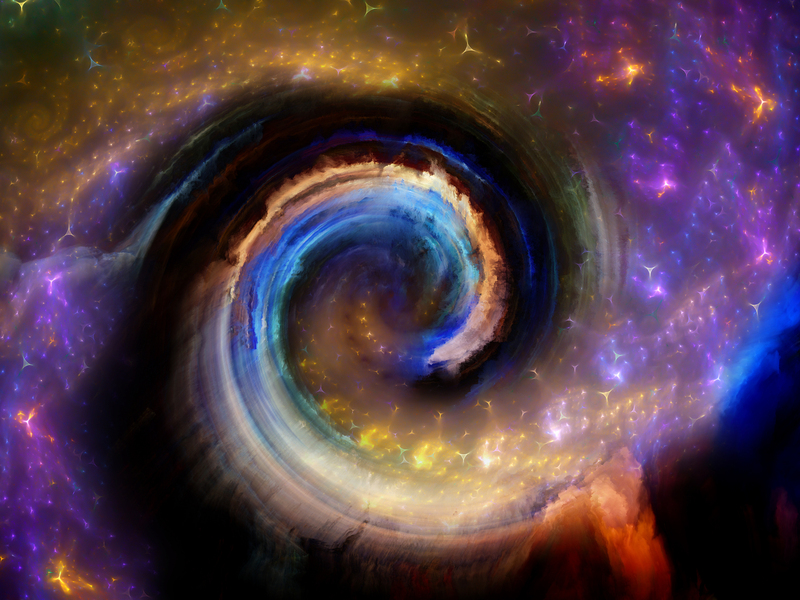 Beloveds, you are at a critical intersection, and the chaos and the mayhem upon my beloved Gaia is extreme. Now, is this part of the plan? Does all this hatred, envy, control, greed, pain, have need to come to the surface? Yes. Do you need to love it? No. You need to love the essence, the divinity, of all beings, yes, including the humans. When you have been having your conversation about core issues, and it is so, my lightworkers, my ground crew, you are being faced with the release of issues that have threatened you or made you feel inadequate, in past times. And we will get to the heart of this today, but first I wish to speak to the collective. Think of the core issues of your old 3rd dimension and of humanity that have clung to that reality. It is all at the surface. Let me elaborate somewhat on what Germaine has said for me. You have not ever been appointed as judge or jury for each other, for humanity, for the human race. To commit yourself to Ascension, to love, to the gift of grace I have given you merely two weeks ago, the divine qualities! It cannot — it does not — include judgment. Of course you are discerning. You have been given magnificent emotional, mental, and even egoic acuity. I am not asking you to deny your intelligence, dear hearts, but what I am asking is to step back and send the love because it is not the judgment. It is only the love that can heal, transmute and transform these energies of chaos that are rampant. Humanity, humans, humans that carry my spark, the Father’s knowing, wisdom, everything that was ever required, are committing these actions. And I do not merely mean the actions of war. I mean the actions that are of cruelty, of bigotry, of segregation, of financial cruelty, political cruelty, injustice. Now, why am I allowing this to take place? Now, please remember, this is not my creation. This is human creation, and you beg me, you say, “Mother, make it stop!” Dear hearts, I could not agree with you more! How, how, when all is in alignment, right now, how do you ascend, how does collective ignition take place if there is not love? How does this happen? You — and I do not mean you who are listening; so again I tell you, I am speaking and calling to the people of Earth — you have asked to ascend as one. You have asked to be the embodiment of the highest realm of consciousness, in form, collectively, creating, inhabiting Nova Earth, Terra Gaia. This cannot occur without collective love. Now, who is turning that ignition key? It is not merely me, us, it is not merely the archangels or what you refer to as my Company of Heaven, it is not merely your star brothers and sisters, it is not even merely Gaia herself; your hand is on the ignition as clearly as mine is and the energy to turn that key is love. It always has been, it always will be. This is never going to change. So you are not loving the atrocities. You are loving the divinity in the collective. You are recommitting who you are and who they are that you are loving them into wholeness. Are you doing it alone? Most certainly not. That is why I have been flooding you with my energies and my gifts! Embrace the grace. But, dear heart, my beloveds of Earth, of Gaia, this is a collective action. It is as a collective Ascension. But, the action, the movement, is every realm, all of us, yourself included. You are the bravest of the brave, the most determined, the most committed, the most stalwart, and you have faced challenges that are legendary. But we do this together. I do not do it for you, I do it with you. The archangels, the masters, as a group, have come forth to assist me, to mentor you in this Shift. Your guides, the kingdoms, your star brothers and sisters, there is not one element or one group that you can even dream of, let alone know of, that is not standing right here with you. And if you wish to think of it this way, all of our hands are on the ignition. You, who are the most committed and faithful — and this is not judgment, it is a reflection of how you have been committed and driven and focused in your lives — you are ready to go, not merely flying through and back the portal. So I beckon to you to call forth the love, not for the heinous acts, but for that spark of divinity that I have birthed in each and every one of you. SB: Well, Mother, it’s almost as if we’re in an obstacle race and we come upon an obstacle, and we climb up and over it. And one of the obstacles is just what you said, to see other people as that spark of divinity rather than as their history or their record or their rap sheet, however you want to point to it. And it seems to be very difficult for us here, in the body, to make that leap, to leave behind the rap sheet and the record and especially with people who are exceedingly violent, like, say, ISIS in Iraq or some of the Syrian fighters, or the people fighting in Gaza. What is the best way to make the leap over focusing on people’s record or rap sheet, so to speak, or whatever you want to call it, to seeing that divine spark in them? DM: Now, let me be very clear; when I have said that your role is not as judge or jury, of course you use discernment. You do not accept or sanction these violent, atrocious actions! One of the most proficient ways to go to that place of loving the spark, of loving the human — because it is intended not to be impersonal but personal, but not subjective — do you understand what I say? DM: Put them in groups. Because time is of the essence, your time, my time, divine timing. Your planet is playing brinkmanship. Now, will this be permitted? No. Your star brothers and sisters will not allow it. But it is a very dangerous game, and it is dangerous because it is soul destroying. So never has it been more important in this process than now to love, to love the group. So, you look at a group such as ISIS — it is a very good example — but rather than trying to separate — because it is that separation that we do not want to occur — ‘well, today I will love ISIS; tomorrow I will love Israel; tomorrow I will love Hamas’… No! Because then what you are doing is you are creating segmentation, fragmentation, isolation, abandonment. And that is of the old paradigm. Take the entire area and say, “Today, I love everybody who is carrying war and violence in their hearts.” Now, this covers not only the atrocities in the Ukraine and in the Middle East, in Detroit, in Chicago, in Washington, in Sudan, in Somalia, it covers the person who is cutting their wrist, wanting to die, because they are doing violence to themselves out of hatred of themselves and their life. So, group it that way. And if you know of a person — and all of you do; all of you — it would take about 10 seconds of your time, and none of mine, to visualize in front of you a violent person — extend your two fingers, extend for your heart to theirs, embrace them, love them. It is not like you do not know how to love. You are experts! Why do you think we sanctioned, chose, fostered this platform? All of you, all of you who listen, and people of Earth, if you came with one specialty, one level of expertise, it was love. See the embodiment in front of you for all that grouping and love it. Then the next day, so I don’t overwhelm you, take all those who are disillusioned, living in despair and terror — and again I do not simply mean the mothers, the fathers, the children of intended not to be impersonal but personal, but not subjective — do you understand what I say?